The Mercedes-Benz CLC is a stylish coupe that still manages to offer a decent amount of room inside with running costs are reasonable despite its prestige image. The Mercedes-Benz CLC offers a surprising amount of room in the cabin despte its compact appearance. Passengers in the rear have a decent amount of leg and elbow space although headroom is a little tight. Mercedes ensure that you don’t have to be a gymnast to reach the coupe’s back seats as the front seats tip forward, then the bases lift up and out of the way. The seats are supportive and there’s lots of adjustment to ensure a comfortable driving position is easily achieved. The boot is a good size – accommodating a set of golf clubs with ease – and the rear seats split and fold almost flat for bigger loads. Build quality on the CLC is good but for a premium brand coupe the interior could be plusher. That said most of the swithgear on the dashboard is easy to see and use. 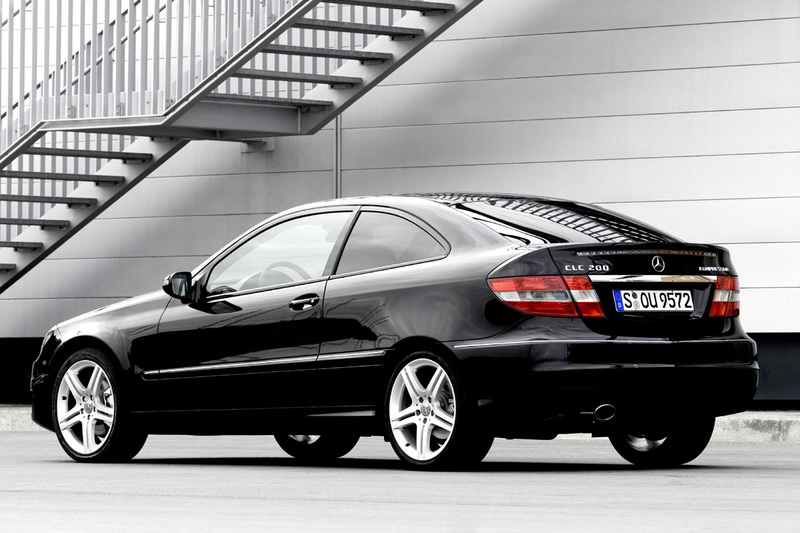 The Mercedes-Benz CLC has relatively high sides and a small rear window impairing visibility behind. Head room isn’t bad, although six-footers may suffer slightly in the rear, but leg and elbow room is decent for this type of car. Fuel economy is reasonable with the 200 and 220 diesel variants offering fuel economy approaching 49mpg with the six-speed manual transmission. The CLC 180 Kompressor will manage around 40mpg – which is decent for the entry-level petrol – and the CLC 200 Kompressor with its boosted power still offers a relatively frugal 36mpg. The Mercedes-Benz CLC is for those who like cruises rather than all action holidays. The superb suspension ensure that life is unruffled by the humps and hollows that bedevil the nation’s highways. It handles with an ease that invites relaxation so those requiring a sporty coupe should look elsewhere. The chassis floats over rough and smooth surfaces alike and eases its way round corners rather than taking them on full throttle. The steering is nicely weighted and the car feels best when sauntering up a motorway. Life in the cabin is peaceful as the CLC’s cabin shuts out wind noise completely while all occupants are cosseted by an interior that uses quality materials and has comfortable seats. The Mercedes-Benz CLC is not a cheap car to buy but running costs are reasonable so there should be a bit of cash leftover to afford the meal at the restaurant once you have driven there. The smart exterior of the CLC should attract the attention of friends and neighbours – especially the rear which has chunky lights and a large central brake light along the boot line. All the CLC’s engines have been improved to be far more environmentally friendly. Carbon dioxide emissions and fuel economy both head the right way as far as the green brigade and indeed the bank balance of the CLC’s owner are concerned. The usual security features are employed to keep the CLC out of the clutches of car thieves although there are no deadlocks, as Mercedes believes they hinder rescue efforts after a crash. Safety is taken seriously in the CLC with stability control included as standard to help you remain in control on the road. Six airbags are also provided to keep you from harm if there is an accident. There are also ISOFIX anchorage points to keep child seats wedged firmly in place. Even the entry level Mercedes-Benz CLC is packed full of goodies. These include parking sensors, part-leather-effect upholstery, alloy wheels and automatic climate control. Step up to the Sport models and Mercedes throw in bigger alloy wheels, metallic paint, full synthetic-leather upholstery and an upgraded interior, as well as sports suspension and a speed-sensitive steering system. All models come with MP3 compatible radio/CD player, eight speakers, Bluetooth connectivity and Aux-in socket as standard. A European navigation system is available as an option. The Mercedes-Benz CLC looks the part and represents decent value for money despite lacking the driving dynamics of some of its competitors. The CLC comes with a choice of six engines – the 180K and 200K petrol engines, two diesels in the form of the 200 and 220 CDI oil burners, and two V6 variants, the 230 and 350. Undoubtedly the best of the bunch is the 220 CDI which offers a winning combination of fuel economy and performance. All the engines are significant improvements on their predecessors offering big reductions in fuel consumption with carbon dioxide emissions reduced by up to seven per cent. Looking to get your Ford Mustang Serviced or maybe your annual MOT test is coming up? Whilst this can be an inconvenience and an annoyance, it can be made much simpler, and you can end up saving money thanks to a new service offered by automotive site BuyYourCar. Originally a Used Car site, BuyYourCar have basically taken the idea of comparison sites and applied that to MOT and Servicing. So, you enter the necessary details, as well as your location, and within seconds your eyes will behold a list of Service and MOT costs for your car, from garages nearby. They don’t make them like they used to. Thirty years ago we were fascinated with muscle cars and power, now we are being force fed these lefty friendly cars like the Twingo and the Volkswagen up which are pathetic. Join me as we take a look a some of the Muscle Cars that are now a thing of the past. 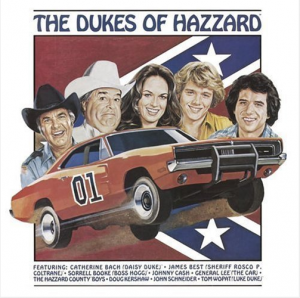 The 1969 Dodge Charger was popularized by ‘The Dukes of Hazzard’ a famous TV show which aired in the 1980s, though it was a brilliant car long before the TV show. The Charger was able to generate a massive 480Ibs-ft of torque with its legendary -half a ton- 428 HEMI engine which packed 425bhp. It is therefore no surprise that the 1969 Dodge Charger R/T was cast as the “General Lee”, a car-acter which became just as big a star as its human co-stars. The “KR” in the GT00KR stood for King of the Road, and boy did it live up to its name. It featured a whopping 7L supercharged V8 engine which at the time, Shelby claimed to be capable of 335bhp, though since then it has been speculated that the actual figure was closer to a much more impressive 450bhp! 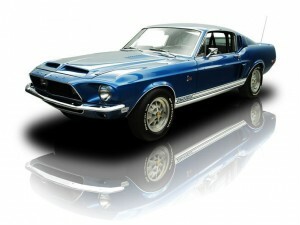 What really put the Shelby Mustang GT500KR on our radar were its looks. It is a timeless piece which wouldn’t look out of place on the road today; it is absolutely stunning. We would have included the Shelby Mustang GT500 in this list as well, but in the name of diversity, we have decided to leave it out. Now this car is incredibly rare and you won’t often see them on the road, if at all as it was only sold as a special edition at the time. 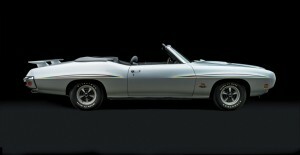 The Pontiac GTO Judge Ram Air IV has plenty of power thanks to its V8 engine and high-flow heads. Again, it looks great, featuring a protruding nose typical of Pontiac and setting it apart from the other muscle cars of the era. The 1964 Pontiac GTO is often cited as the starting point for the muscle car era, so it is only right that it makes our list. This beauty should be on any good muscle car list. This Camaro had a small-block 302 cubic inch engine which was built with Trans-AM racing in mind. The engine was said to create 290 horsepower at the time of its release, but many have speculated that the Z28 Chevy could muster up many more horses than that. Even so the 1969 Chevy was by no means the fastest muscle car on the road, but its personality and looks meant it had a certain allure over its competition. I restored mine with some new Chevrolet Camaro Car Parts not too long ago, and I’ve fallen in love all over again. Some of the boys might disagree but for some reason I have had a love affair with the Plymouth Hemi Cuda for as long as I can remember. 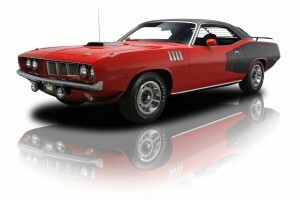 What initially hooked me were the cars looks and the shaker scoop, then, when I discovered what was beneath the Hemi Cuda’s hood, I was confirmed. The hemi engine packs 425/426 horsepower. 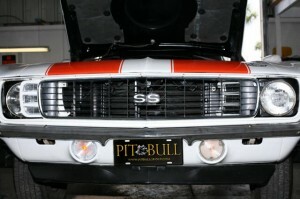 Only 11 of these models were made -three of which were left hand drives- making it one of the rarest muscle cars ever! If you are lucky enough to find one for sale, you have to be lucky enough to have $500,000 to spare, because that’s how much they cost. Maybe you’ll just settle for a Used Pontiac Firebird or something.